The PMP® training at Intellisoft is really helpful & enjoyable. The training material is very comprehensive with example of PMI® style questions which will help to get used to exam questions. Are you aspiring to get the PMP® Certification, and add value to your resume, to your skills, and to your self esteem? The PMP certification is the highest certification for Project Managers. It is issued by the Project Management Institute in USA. This Project Management Preparation Training Course objective is to impart the required knowledge to project managers aspiring to get PMP® certification from PMI®. This PMP® Certification Training is based on the Project Management Framework laid out by the Project Management Institute (PMI®), in the Project Management Body of Knowledge (PMBOK® Guide, Sixth edition). This is a universally adopted standard framework used world-wide, and is considered the most holistic, practical and effective way to manage projects.. Pass the PMP® exam and become a Certified Project Management Professional (PMP®). Be able to use the tools and techniques you learned while studying for the PMP® exam to improve your abilities in managing projects. Learn exactly what to expect on the PMP® exam. Identify your strong and weak Knowledge Areas, so that you can study and master them. Make the best use of study time to be successful in passing the PMP® exam. This program is highly recommended for all new and experienced executives, directors and project managers with functional or project responsibilities, who are aspiring to get a PMP® Certification from PMI®. You can time yourself, and see the time spent on each knowledge area of the PMP® exam. This will guide you and help you identify any areas where you are weak, so that you can practice more, and ensure success in the PMP® exam in your FIRST attempt. Meet your PMP® Certification requirements now. Email to training@intellisoft.com.sg for more information on the PMP® Training Workshop. Mock PMP® Certification Exam to test your learning, knowledge and gaps. 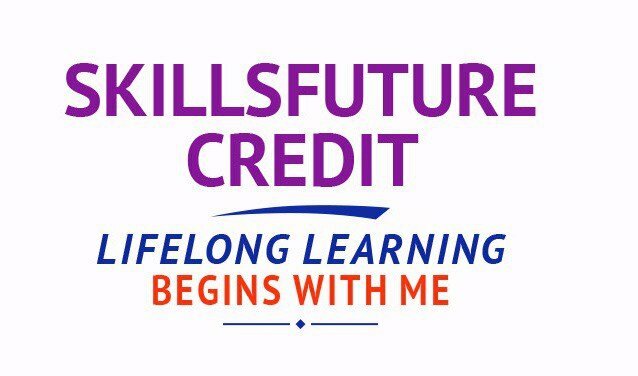 Classroom based lecture, discussions, mock test exam questions. Plus access to hundreds of questions in the PMI exam format, to help you practice for the actual PMP® exam. This course is very Exam Focused. Our objective is to help you pass the PMP Exam in your first attempt! Be prepared to do a huge number of questions, and apply the project management concepts in real life. FURTHER – All Students Get Access to Hundreds of Practice Questions to help you Prepare for the PMP® Examination conducted by PMI®. The practice questions are exactly in the same type and format as what comes in the PMP® examination. Material – PMP® exam preparation notes in folders will be provided, Study Material, Extra Handouts and Tip Sheets. 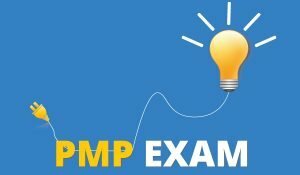 The PMP® exam changed on Mar 2018, and is now based on PMBOK® Guide Sixth edition. Our Exam Preparation course has been modified to incorporate the new changes in this edition. Make sure you join the program which covers the new and latest material for the changed Exam Pattern and the latest PMBOK Guide Sixth edition. The course will give you the required 35 contact hours ( 35 PDUs ) to qualify to sit for the PMP® Certification exam. Register for the 4 Days PMP Exam Preparation Training today by simply clicking on the chosen course date available at the top of this page. Submit an online enquiry if you have any questions regarding PMP Exam Preparation training. We have regular public classes each month, and Corporate Training can be arranged at your office too! If you have a group of 10 or more participants interested in getting the PMP® certification, contact us for a Corporate Training on Weekdays or Weekends. We have conducted Corporate trainings in Singapore, India, Malaysia, Egypt, Vietnam, Indonesia to name a few countries. NEW: Receive PMP® Exam Preparation Tips & Project Management Articles in your Email. Written by Project Management experts, these articles will provide you with an immense advantage & help you prepare for your PMP® certification quickly. You will learn ideas, tips, best practices of managing and executing projects successfully, and in passing the PMP® examination in your first attempt. Call us at +65 6296-2995 or email to training@intellisoft.com.sg for any questions, or to register for the upcoming class of PMP Exam Preparation Training. Interesting topics of the sessions are Conflict Management Techniques, Negotiation Skills, and Experience sharing by the trainer during class. Workshop is structured, informative & exam-focused. I like the training content & the teaching methods of the trainer. Interactive, interesting sessions filled with good & relevant examples. Very extensive & deep drilling into understanding the concept and application. I like the exam tips & practical work examples. Clear, concise and easy to understand sessions. Very knowledgeable instructor & good with his presentation skills. Important tips given by the trainer for better understanding of the topic. A lot of stories & scenarios provided by the trainer to help us to understand better. This training will help me to analyze & handle situations, scope better.